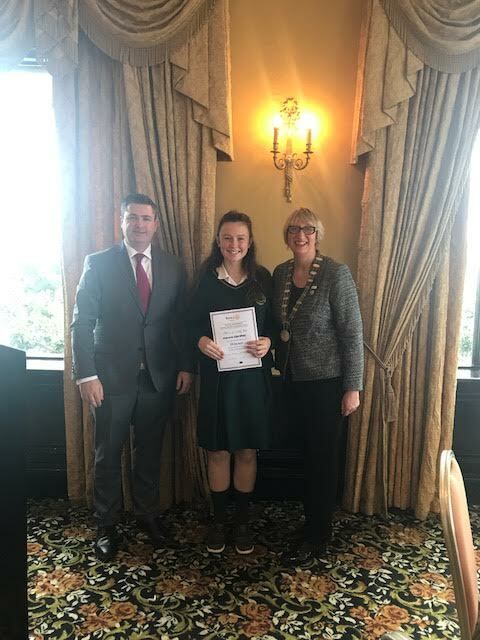 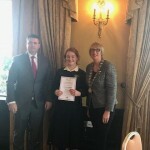 In a competition, which recognises and celebrates Wexford’s youngest leaders, Gia Simmons, a student at the Loreto Secondary School in Wexford, has been announced as the winner of the 2017 Rotary Club of Wexford’s Youth Leadership Development Competition. 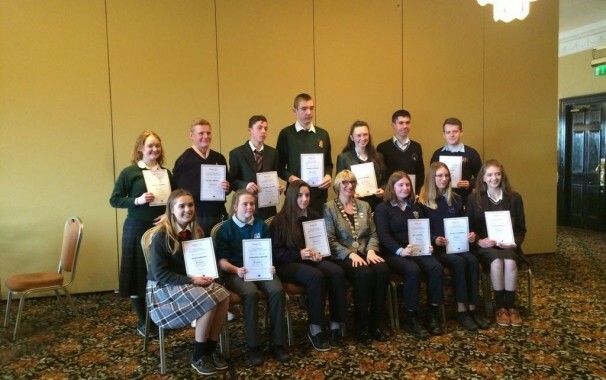 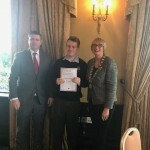 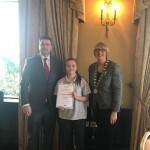 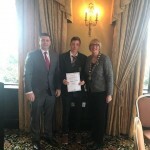 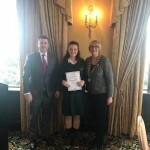 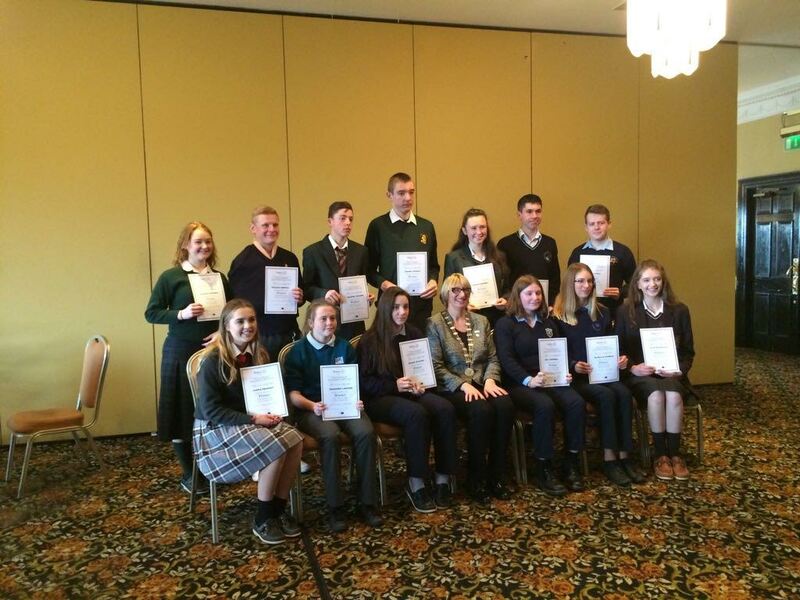 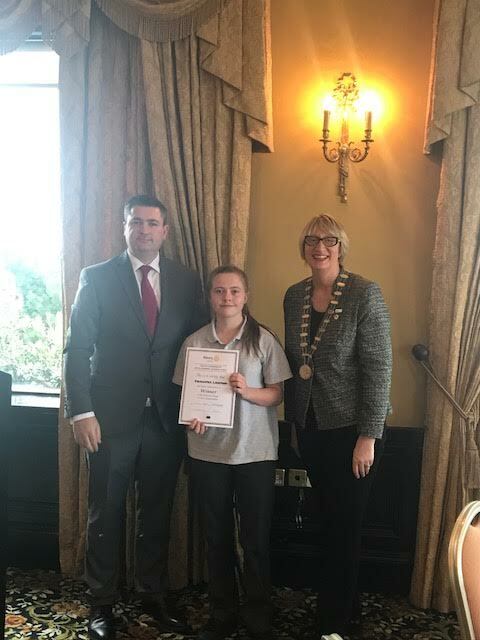 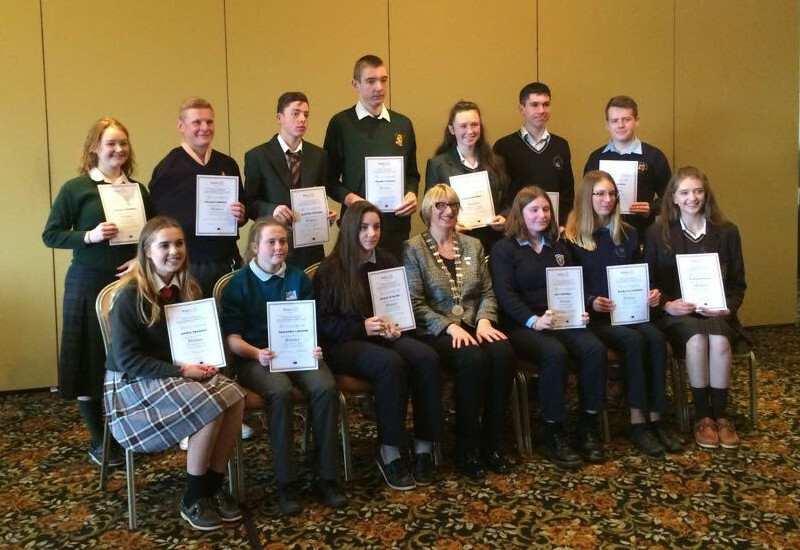 Following entries from more than 60 students across the county, a representative for each of the 13 participating schools was selected to compete in the Club final, which was held in the Riverbank House Hotel. 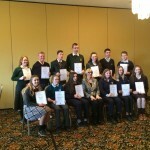 Joining Gia at the Club Final were; Daniel McCarthy (St. Peter’s College), Megan Dempsey (Presentation Wexford), Eri Farrell (Selskar College), Dominik Morycki (St. Mary’s CBS Enniscorthy), Daniel Leech (Enniscorthy Vocational College), Niamh Tennant (Meanscoil Gharman), Brona Kirwan (Coláiste an Átha), Jennifer Canning (Kennedy College), Ronan Cloney (Good Counsel College), Laura Kennedy (St. Mary’s Secondary School, New Ross), James Murphy (FCJ Bunclody) and Evelyn Stebbing (Ramsgrange Community School). 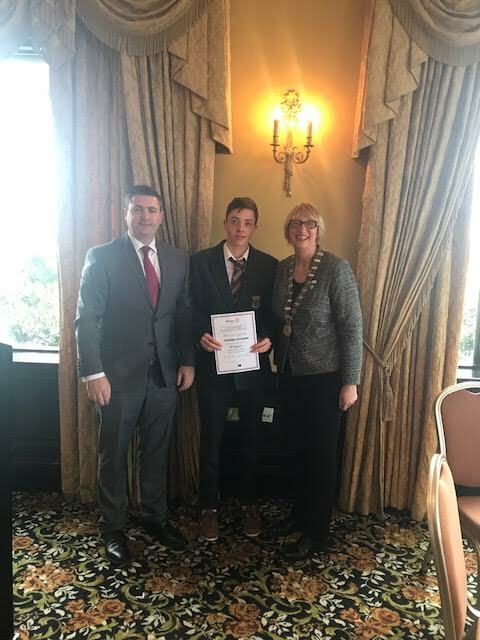 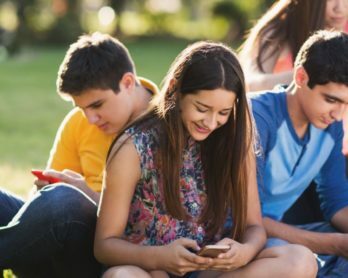 The chairman of the Youth Leadership Development Competition, Karl Fitzpatrick, was delighted with the response to this year’s competition, as it boasted record participation levels. 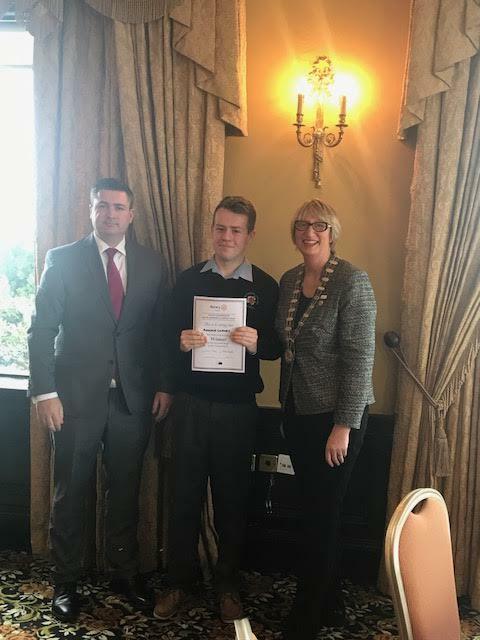 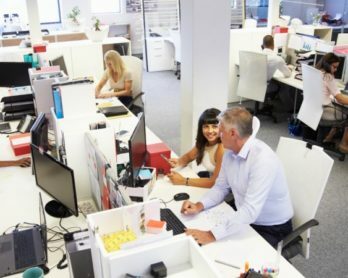 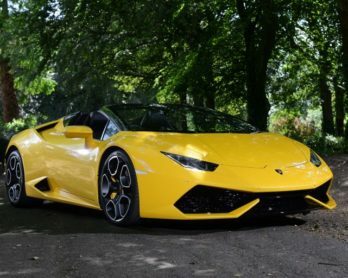 ‘With almost 70% of secondary schools in the County taking part in this initiative, the judges have interviewed over 60 students right across the county’ said Mr. Karl Fitzpatrick. 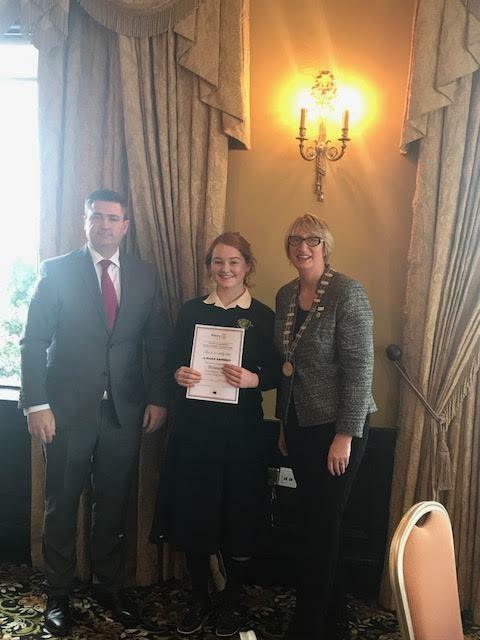 ‘On behalf of the Rotary Club of Wexford, I would like to congratulate Gia on her success so far and I wish her the best of luck in the Regional Final’ added Mr. Fitzpatrick.